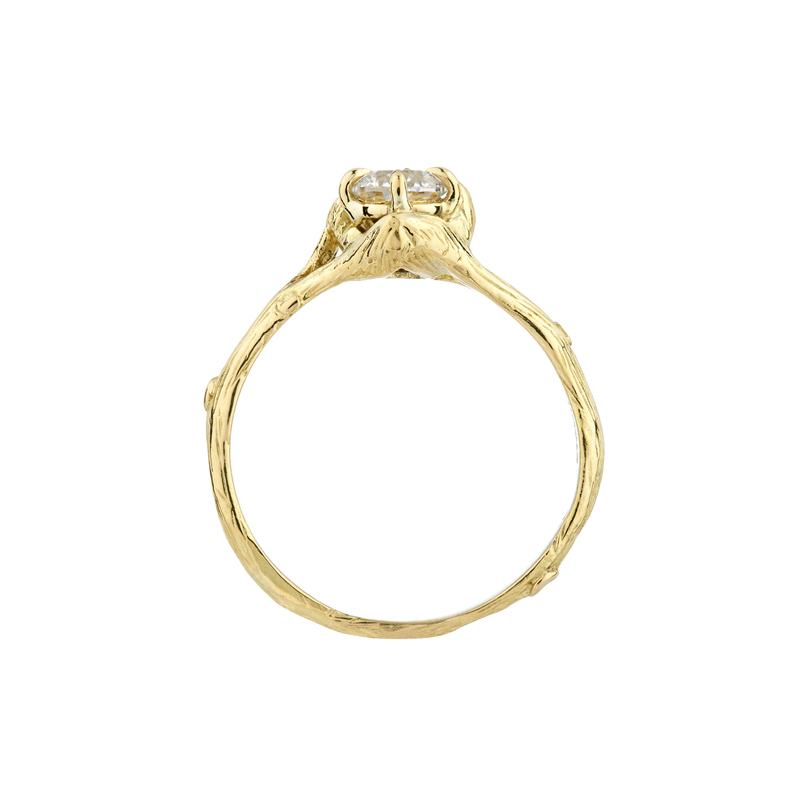 The band of this pretty ring is delicately textured like a twig – perfect for your nature-lover! 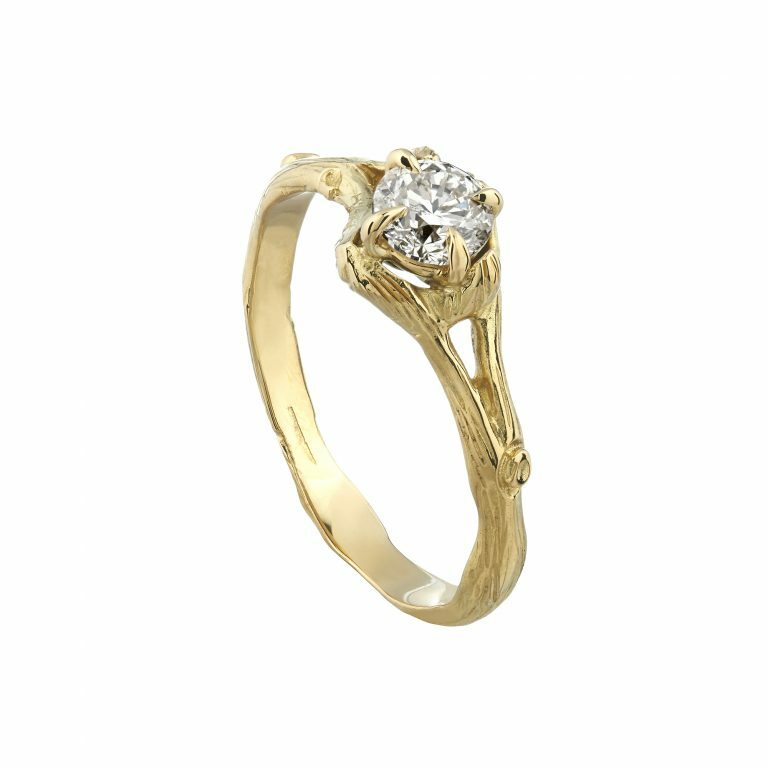 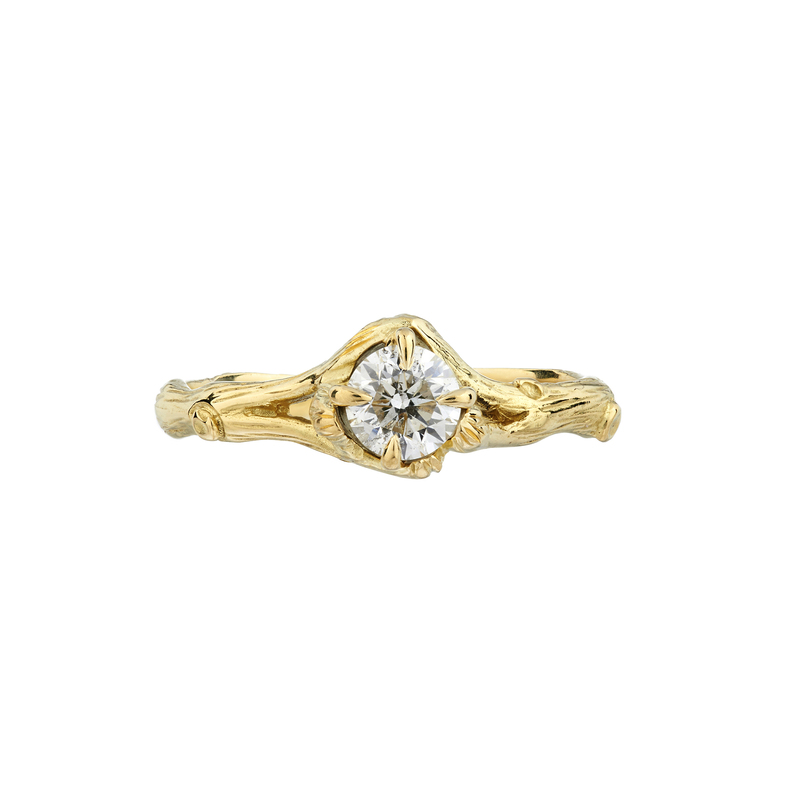 Hand-finished in 18ct yellow gold this Woodland engagement ring is claw-set with a 0.40ct round brilliant-cut white diamond. 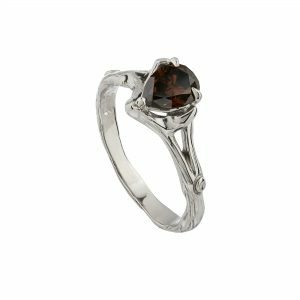 The ring is a size L.